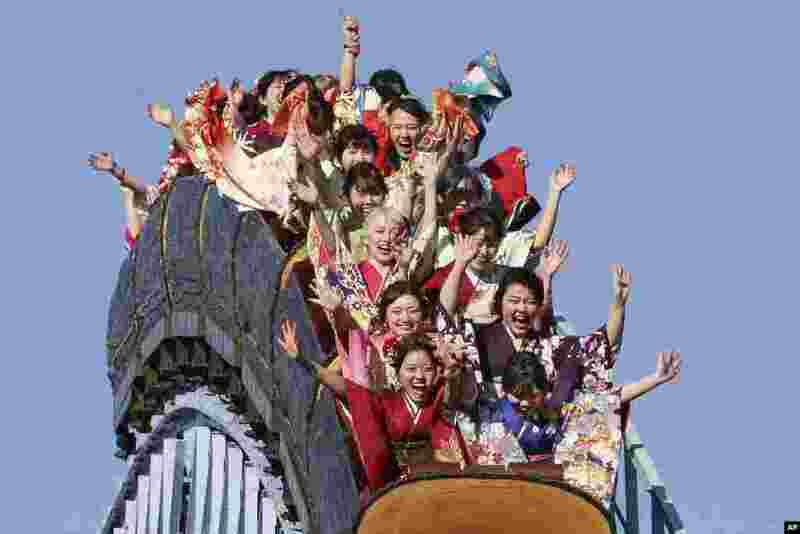 1 Kimono-clad women who celebrate turning 20 years old, react as they ride a roller coaster at Toshimaen amusement park on Coming of Age Day, a national holiday, in Tokyo, Japan. 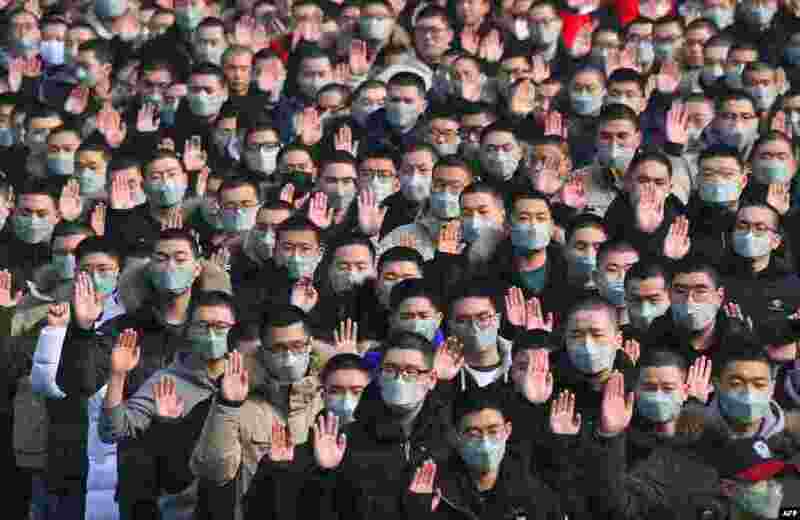 2 South Korean military conscripts wear face masks to protect themselves against a wave of fine dust that has hit the Korean Peninsula, during their entrance ceremony at the army training center in Nonsan. 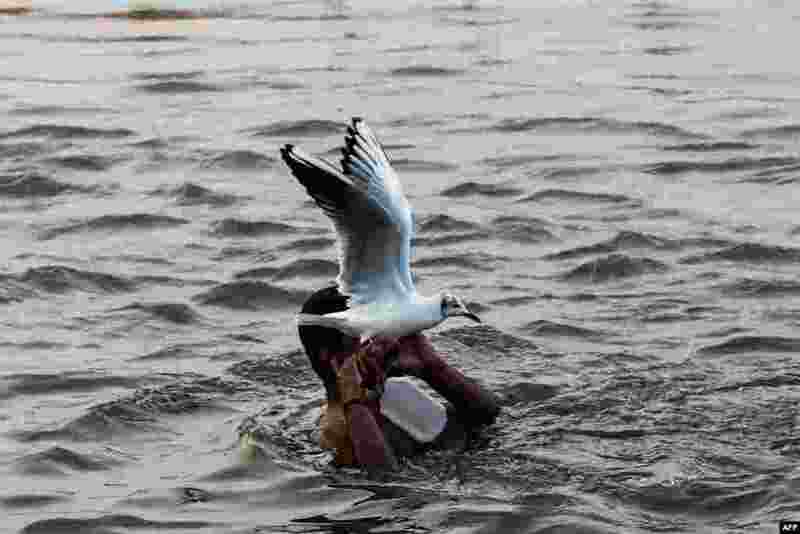 3 A seagull flies past as an Indian devotee taking a dip on the banks of the Triveni Sangam, the confluence of the Ganges, Yamuna and mythical Saraswati rivers, as people gather for the Kumbh Mela festival in Allahabad. 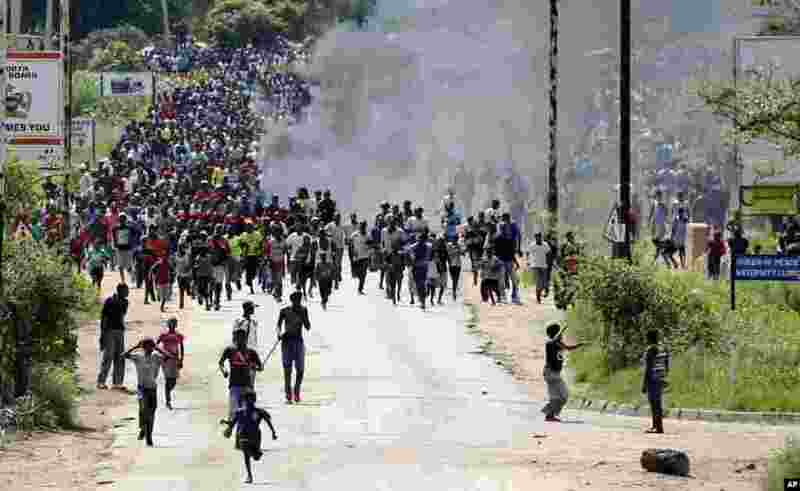 4 Protesters gather on the streets during demonstrations over the hike in fuel prices in Harare, Zimbabwe.